I am sharing this great giveaways by GlamGlow! 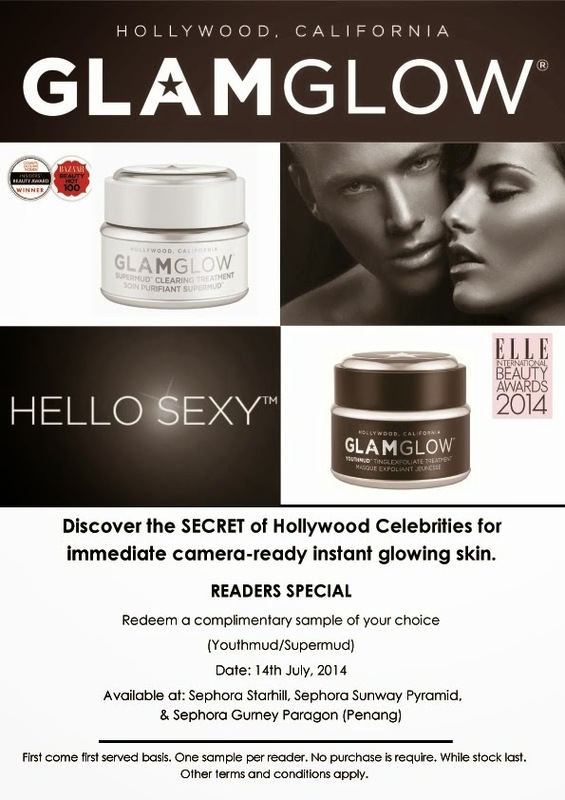 GlamGlow is giving out samples for my readers on 14th July at selected Sephora outlets! You need to try this miracle mud mask that's raved by celebrities and beauty bloggers around the world! Print this photo out to redeem your GlamGlow!